This is the fourth edition of this successful textbook, which was first written by Rondo Cameron (the third edition having published in 1997). 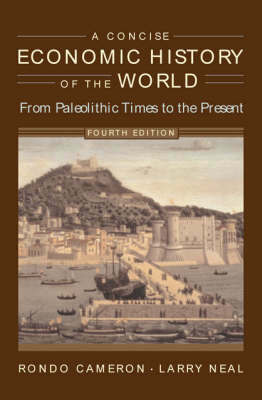 As with previous editions, the book covers economic history from pre-history to the present. It offers an introduction to the study of both economic history and economic development. "A tour de force.... Manages to pack an astonishing wealth of detail on many topics, from the manorial system to the recovery and integration of Western Europe after World War II....Learned, lucid, readable, and appositely illustrated.